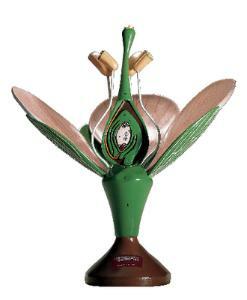 This dissectible flower helps students learn about angiosperm reproduction. 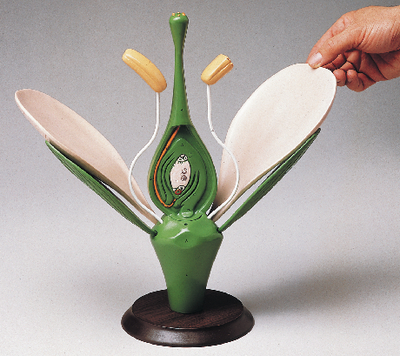 Each of the eight parts of the flower model represents one of the unique structural components such as the sepals, petals, stamens, and pistil. The model shows fertilization with pollen grains on the stigma; one pollen tube is shown penetrating the micropyle. The anthers are sectioned, and the ovary is dissected to show the female gametophyte. 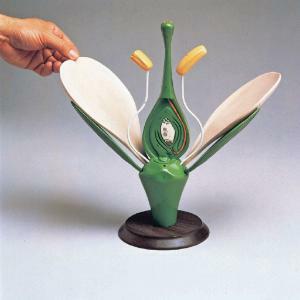 The model also depicts the scenario for double fertilization. The eight-piece model is mounted on a base and includes a teacher’s guide and a key identifying 28 structures. The student version incorporates fewer detachable pieces and a more simplified painting to result in a lower price.